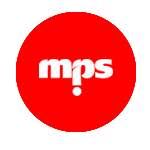 CREATE – At mps, there is a great amount of emphasis on the creation of digital masterpieces. Any efforts made towards social media campaigns are in vain if the content isn’t relevant. Eye-catching web design, relevant content creation and constant social media monitoring and management are what we thrive on. REACH – We employ a number of methods to ensure that we maximise your impact with your digital marketing budget. Our work is currently reaching some 4 million people around the globe each month. ENGAGE – Social media is all about generating a two-way conversation – your customers or fanbase is enthused when they are given tangible evidence that their voices are being heard and that their interaction is appreciated. We heighten the engagement on your social media properties, tracking social media influencers, media audits and social listening.